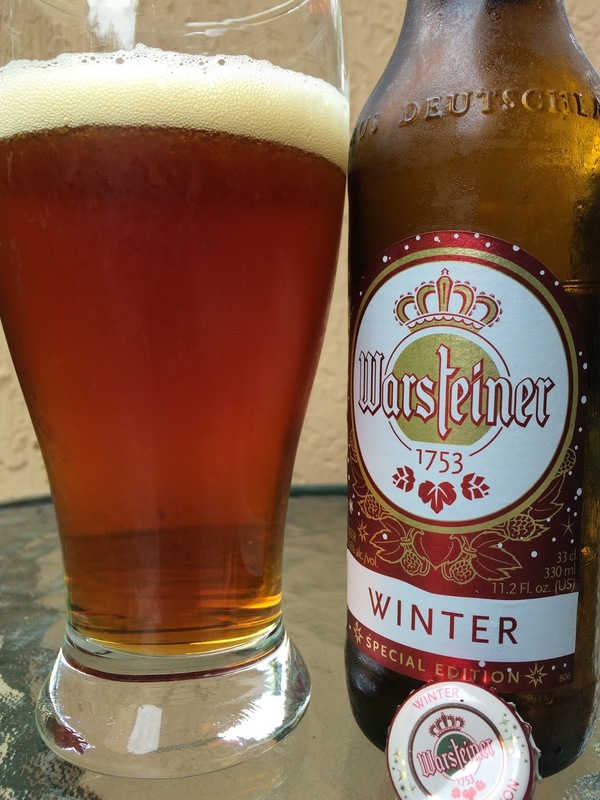 Warsteiner recently started importing their German-named Weihnacht to the US as Warsteiner Winter Special Edition. The neck label says, "Festive Brew. Malty and Balanced," and the red and gold shiny label reminds me of a Christmas tree ball, so they hit that festive mark in design. My 330mL bottle is Best Before 26.JUL.16. 5.6% alcohol. Nutty, herbal aroma. Sweet grain and toast flavors to start. Caramel and herbal maltiness come next. Faintly nutty as well. On the sweet end. Simple but good flavors.